In Sweden, the straightforwardness, perseverance and progress of this great champion among the heavyweights of Karting aroused the admiration of specialists and the interest of the general public. 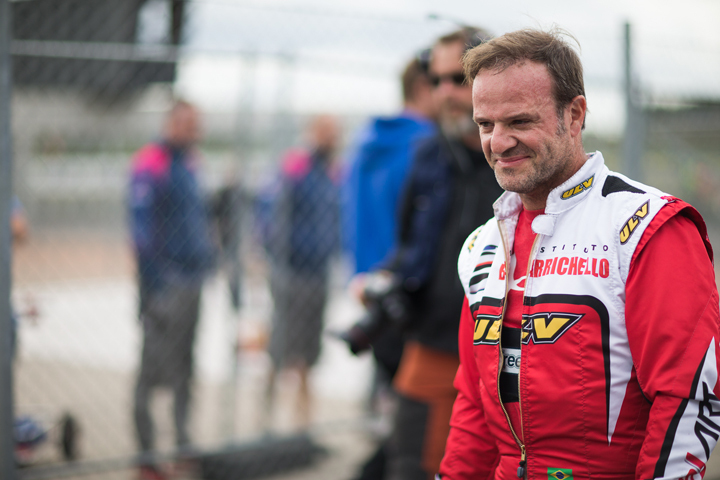 The aura of a celebrity like Barrichello did a lot for the popularity of karting and the sport should thank the Brazilian for his presence at Kristianstad, hoping it will be emulated. A renowned Formula 1 driver from 1993 to 2011, the Brazilian Rubens Barrichello holds the incredible record of 325 Grand Prix participations. Twice vice world champion behind Michael Schumacher, he took 11 victories in his long career. At 44, he is still participating fully in Brazilian Stock Cars and USAEndurance. Educated in Karting, he won repeated titles in his country from 1983 to 1988, before starting in single-seaters. Rubens never really left Karting as he won six editions of the 500 Milhas Granja Viana from 1998 onwards. He took racing more seriously in 2015 before participating in this year's CIK-FIA World KZ Championship at Kristianstad (SWE). Rubens, tell us how you recently returned to Competition Karting? "My sons, Eduardo and Fernando, are passionate about karting. When they first started competing in the USA, I naturally went with them to the circuits. I admit I had a little trouble watching as s mere spectator! So I quickly entered myself in the same meetings: we shared and the thrill of competition fairly!" "Indeed, I am a competitor before everything else and I did not want to make up the numbers. I progressed through the most important challenges in America and Europe to eventually get involved in KZ in the World Championship with the BirelART Motorsport team. I came to Kristianstad mainly to please myself. I knew that I could hardly compete with the top specialists." What conclusions do you get? "Competition Karting is extremely difficult at this level. In terms of pure performance, I was not very satisfied with my performance. I had not used the soft tyres used in KZ enough and it was difficult to exploit the grip of the circuit on the rubber with the brutal power of the engine. My team-mate Jordon Lennox-Lamb served as my benchmark. Through hard work, I halved my difference to him to reach approximately 4/10 offhis time, which is not too bad. I finished two places behind him in the Ginal, but I acknowledge that it was not easy!"